This one is just enchanting! A delicious chocolate cake with a magical woodland theme and characters which can be retained as a keepsake after the party! 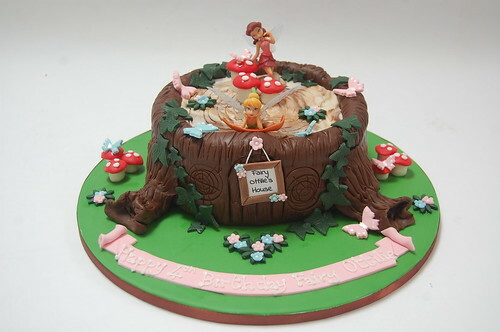 Tinkerbell’s Woodland Treestump Cake – from £80.